Welcome to Riverdale Dental Center conveniently located in Brighton, Colorado, we are happy to welcome patients from Longmont, Thornton, Westminster, Keenesburg, Fort Lupton, Lochbuie, Henderson, Hudson, Reunion, Green Valley Ranch, Commerce City, Erie, Broomfield, Firestone, Dacono, and Frederick, Colorado. We are proud to offer exceptional dental care for your entire family. We take a holistic approach to your care and the dentistry we provide. Dr. Jon C. Bauman, our distinguished dentist, practices mercury-free dentistry and uses non-metal crowns and bridges. We take special care to make sure every procedure is done the right way the first time and we provide personalized care that you can trust. We combine the latest in high-tech dental equipment with a comfortable and relaxing environment in our home-turned-dental-office. When you come in to our office, you will receive personal care that caters to your individual needs. We take the time to make sure you get the attention you deserve, and none of our appointments are rushed. Our friendly dental team is dedicated to going the extra mile for each of our patients. Whether you come to see us for a regular six-month checkup or because you need a full mouth reconstruction, we are certain to have the experience and treatments to give you a smile you will be proud of. Conveniently located in Brighton, Colorado, we are happy to welcome patients from Fort Lupton, Thornton, Broomfield, Commerce City, Westminster, Firestone, Reunion, Erie, and Keenesburg, Colorado. For more information on the services we offer and to schedule an appointment with Dr. Jon C. Bauman, we invite you to contact our office today. We are eager to help you achieve the smile of your dreams! 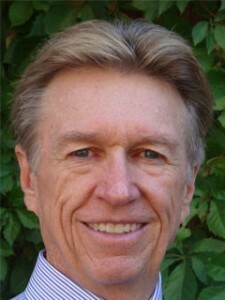 Dr. Jon C. Bauman is honored to have earned 5280 Magazine’s “Top Dentist” Award. The magazine’s annual Top Dentists and Top Doctors lists are Colorado’s go-to-guides for recommending the best health professionals in the state. The list is based on an in-depth peer-review survey in which hundreds of dentists and specialists throughout Colorado cast thousands of votes on the abilities of other dentists and specialists. The Top Dentists have distinguished themselves in areas such as experience, continuing education, manner with patients, use of new techniques and technologies, and patient results. 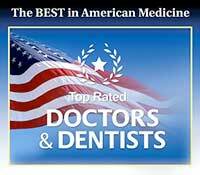 Dr. Jon C. Bauman has also been inducted to America’s Top Dentists. Many thanks to our patients and to the Colorado dental community for your trust and confidence in Dr. Jon C. Bauman and Riverdale Dental Center! We are always happy to welcome new patients to our dental office in Brighton, Colorado! If you would like more information on the exceptional dental care you can experience at Riverdale Dental Center, we encourage you to call or visit our office today. For your convenience, you can download our new patient forms by clicking here. Dr. Jon C. Bauman is highly trained in the use of many advanced technologies. You can expect every treatment you receive to utilize the latest in state-of-the-art technology, techniques, and equipment. We are proud to offer services such as LANAP, digital X-rays, intraoral cameras, and DIAGNOdent. At Riverdale Dental Center, we take a holistic approach to your dental care. We provide mercury-free, non-metal fillings, crowns, and bridges in order to ensure that you leave our office feeling confident that you have received high-quality treatment that is aesthetically pleasing and has your overall health in mind.